Discover the fascinating German capital Berlin with your personal guide and driver. Your driver will await you at the port and you head for Berlin. Upon arrival in the city a local expert joins for the approx. 6 hour sightseeing tour. 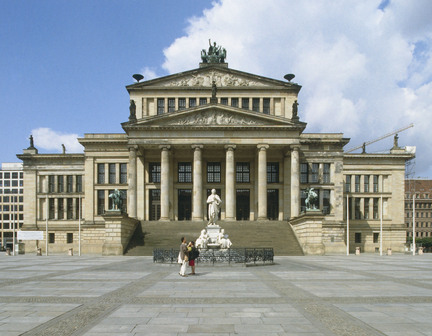 Visit all the world famous sites such as the Brandenburg Gate, Reichstag, Check Point Charlie or Gendarmenmarket. See the remnants of the Berlin Wall and learn about life in the divided city. Berlin has many faces and past and present blend to an exciting experience. From the small, Medieval Berlin to the imperial Prussian Berlin, the dark Third Reich Berlin and tense Cold War Berlin to the lively new Metropolitan Berlin today - one just seems to have to cut the next corner to be in a different world. Make the most out of your stay with your personable guide and get off the beaten path or dwell on your individual interest such as art or shopping or dining. We will make sure to include all highlights of the city in the guided tour and also allow for some customization. Of course, one cannot see it all in one day but you can surely get a taste of Berlins flavor. PLEASE NOTE: If you have a group of more than 10, please contact us to set up a special tour. Guides in Berlin are available in Spanish, French, Chinese, Hebrew and other languages as well. Excursions listed for a port may not be available for every cruise.